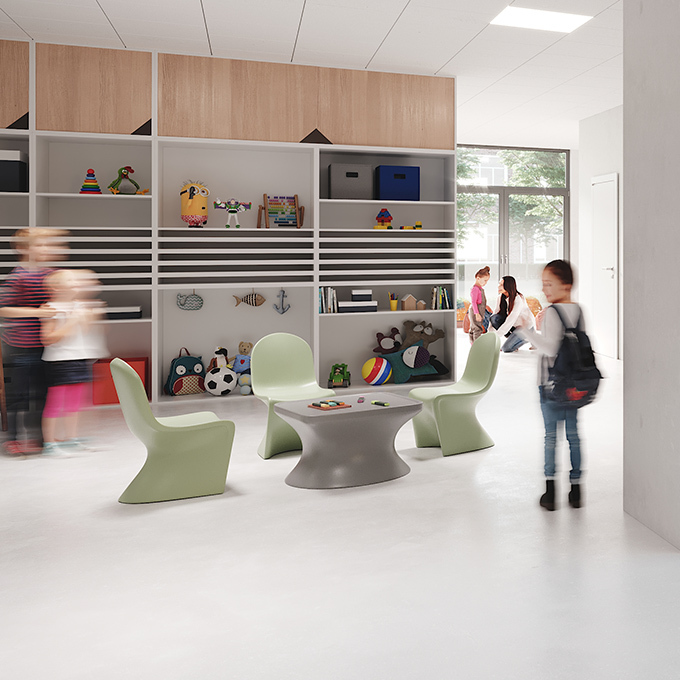 Our furniture promotes a homely and community feel with a wide range of modular soft seating options, to stackable chairs for schools with minimal storage. Upholstered furniture can be produced in a wide range of fabrics to suit your schools branding and needs. This recreation room at Taunton School provides a relaxing "home-from-home” for pupils during the day and becomes the social hub for boarders during evenings and weekends. In a recent refurbishment, Snug sofas were used to create "zones” within the room which cater to a range of activities – corner units help to encourage social interaction for example, while straight arrangements allow large groups to enjoy films together. These layouts can be easily re-arranged as required thanks to Snug’s versatile modular design. The armless construction makes efficient use of space, maximising seating capacity, and the fixed seat and back cushions mean the furniture keeps looking neat over time. The pupils were delighted with their new environment, with one describing the Snug as "a super comfy couch” and another commenting "feels like I am sitting on a fluffy marshmallow!”.